It’s football day again. We decided on flank steak sandwiches, but I needed something different from the usual coleslaw or potato salad to go with them. In meal planning for football, it isn’t allowed to be fussy. Fussy food is banned on football day which is understandable, but I was tired of the same old sides. Maybe others didn’t care, but I was on the hunt to cook up something else. Well, the ooh la la’s came out when I made this, because it looks fussy, but is actually super simple, and the FLAVOR is huge. Duh – what goes on steak sandwiches? Onions? Check. Cheese? check. Why didn’t I think to make this before? Plus, you can easily use this as a component in a day-two dish. This one is a keeper. Oh, and our team won. Win-win. Preheat oven to 450. 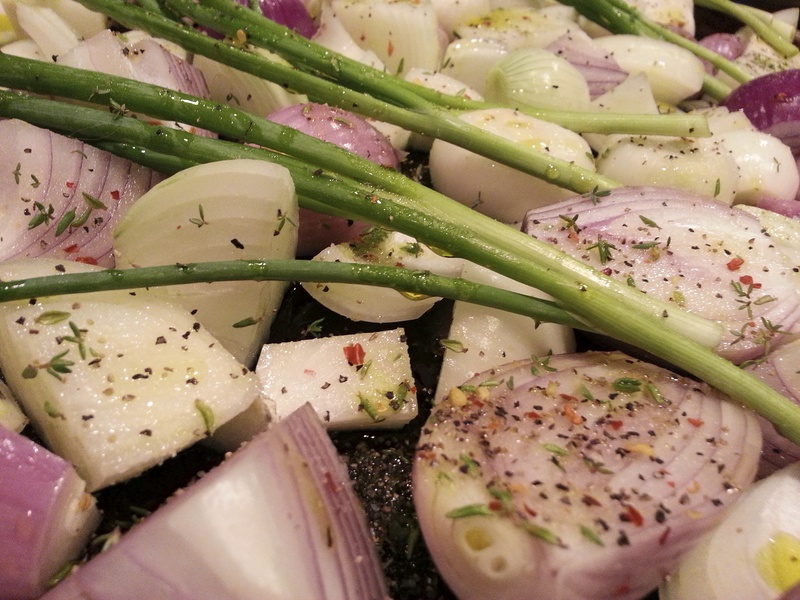 Combine all onions in a large rimmed baking sheet coated with cooking spray. Drizzle with olive oil, then sprinkle with the thyme, salt, pepper and crushed red pepper. Toss gently to coat. 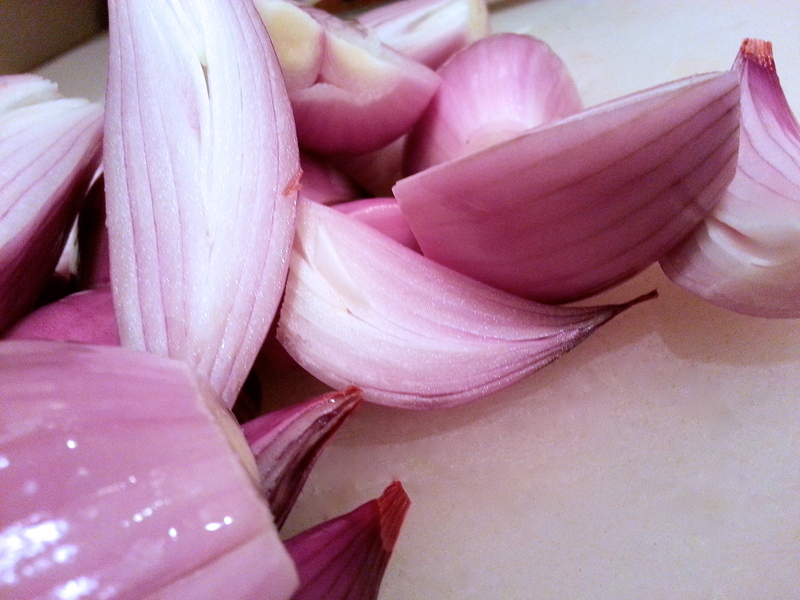 Shake pan to spread out onions into one layer. 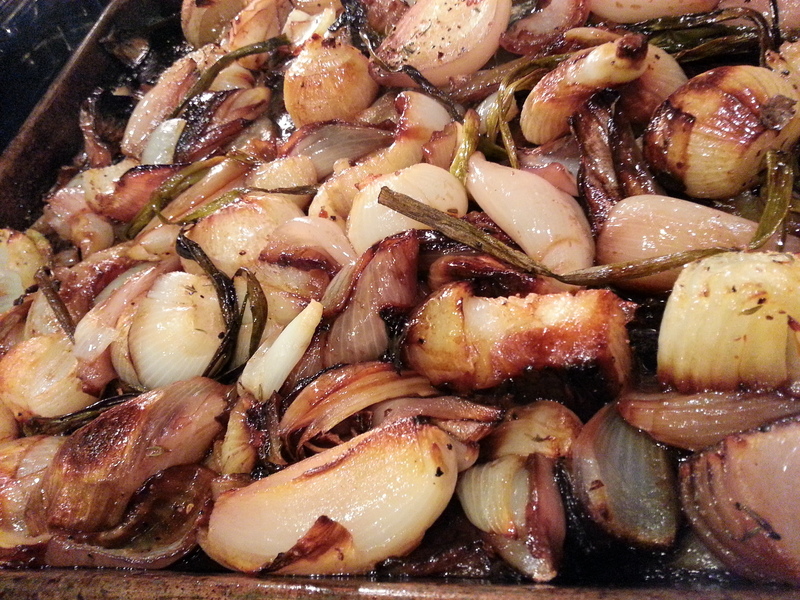 Roast onions until tender and beginning to brown in spots, 25-30 minutes. Spoon broth over onions to moisten. Loosen any onions from the pan with a spatula. Sprinkle with cheese. Bake until heated through about 5 minutes. This recipe called for croutons in the mixture but I just wanted the cheesy onions this time. If you want this to be a more substantial side dish, bake about 3 cups of 1/2 inch pieces of a crusty bread until golden brown, 7-8 minutes and add to the roasted onion mixture and top with the cheese. 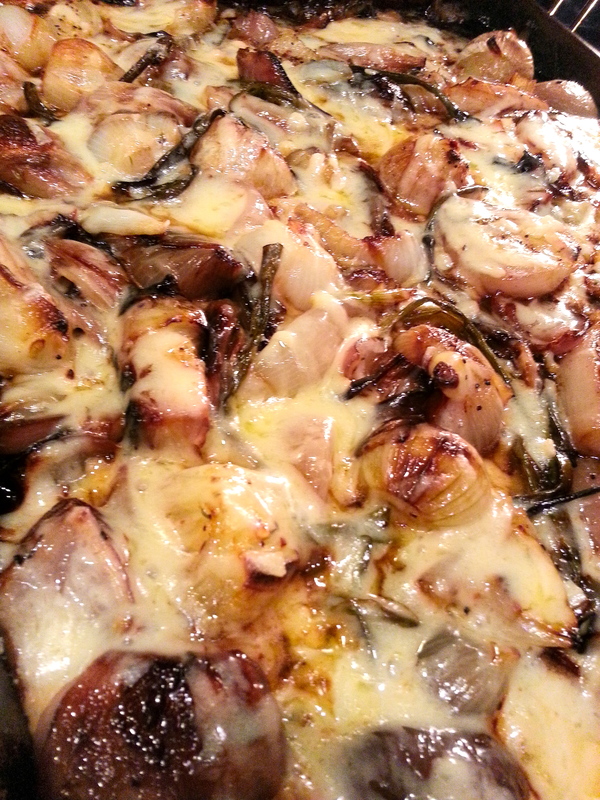 This entry was posted in sides, veggie and tagged gruyere, onions, roasted, vegetarian, vidalia onions. Bookmark the permalink. My goodness, this looks so good! Yummy!! Great date night food! LOL.